5000+ Softwares, Games, Drivers, Wallpapers, Screensavers ! As announced by Ryan Block at Engadget, various ?very trustworthy? sources have confirmed a Google mobile device platform, or OS, to be revealed in the near future. 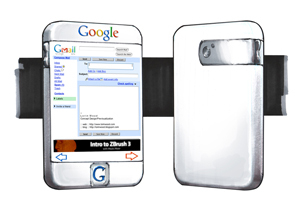 The new Google offering, christened by various blogs as the ?Gphone OS?, is expected to hit handhelds in 1Q 2008, if not earlier. The new OS apparently began development after Google?s 2005 acquisition of Android, a mobile software company. The Android team is currently shopping around a Linux-based mobile device OS that provides a customizable system, ostensibly with great Google integration. Some people have put the announcement date as early as immediately after Labor Day, though at this point the major suspense is whether the online giant will be offering hardware developed in-house as well (most observers agree that no hardware will probably be offered). There have been many clues in recent months to suggest that Google was planning a big mobile move in the near future. www.tafra.com is not responsible for any damage that may occur by the softwares downloaded from here.